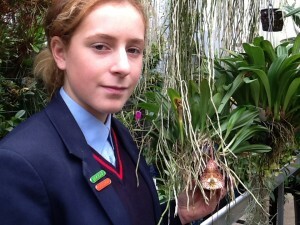 Another busy day at the Bristol Aquarium and the orchid conservation display is finished. 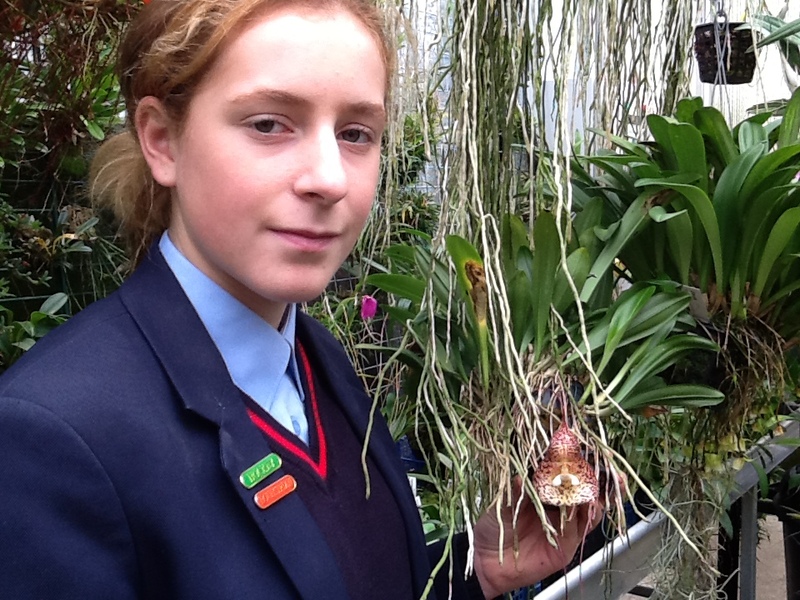 50 orchid species, a living seed propagation display and supporting information look amazing. Well done to all the team, an achievement to be proud of. We highly recommend a visit to the Bristol Aquarium. 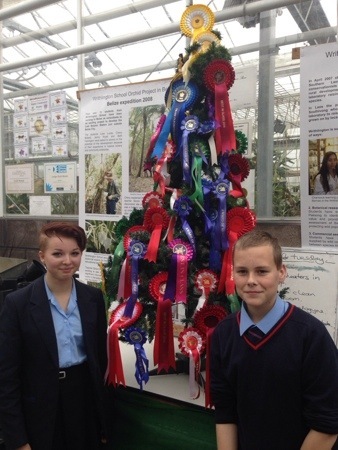 The marine, reef and freshwater displays are really impressive – and you get to look at the orchids too. 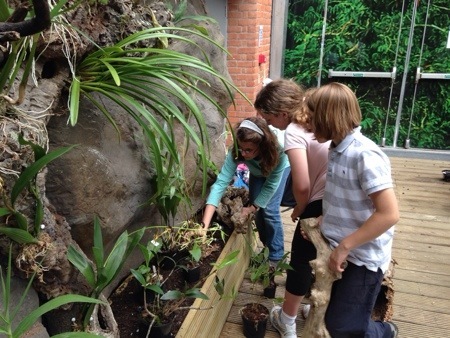 Today we started building our permanent display at the Bristol Aquarium. 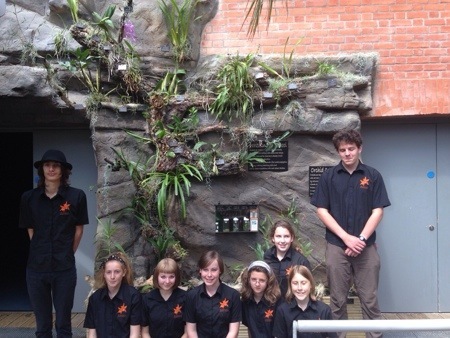 A brilliant team of Talis, Martha, Cara, Lottie, Charlotte, Chloe, Emily, Ashley, Jacob and Josh worked all day with Aquarium staff especially Wendy and Matt to set up an amazing wall of orchid species. Nearly forty species are already in place with more to follow tomorrow with labels, interpretation and an orchids from seed display. The display is already open to public view and should turn into something very spectacular over the next few years. Today we were joined at Writhlington by Hetty Ninnis, Rainforest Biome Team Lead at the Eden project, for a day planning a stunning new display. 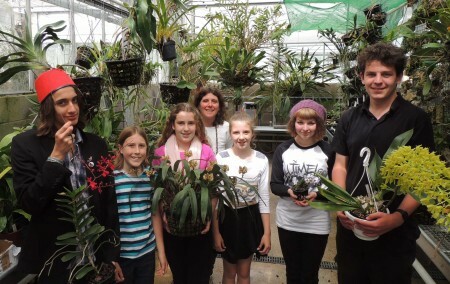 A very slow tour of the orchid houses developed into productive discussions about orchid species, their stories and cultural requirements. We hope that the new display will be constructed within the next twelve months and will be working hard to prepare species lists and set up environmental monitoring for the display area at Eden. 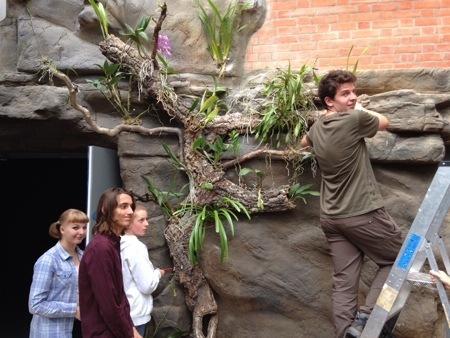 Interpretation will focus on Writhlington’s work around the world and the orchid species’ relationships with people and their pollinators.